Click Here at 9:00 p.m. Eastern Time on Sunday, January 28th to Join the Live Session. During January and February, Practice Circle will be aligned with the Mindfulness-Based Stress Reduction Online Live program offered by Ted Meissner and Amy Balentine. There may be people from that class joining Practice Circle as an additional opportunity to meditate with others, along with anyone curious about this community and what online practice is like. The themes and guidance will come from the MBSR program, and will be comparable to how those are delivered in class. Our format for Practice Circle will remain the same half hour of guidance followed by the second half hour of dyads and group sharing. Ted and Amy will be leading for most of the sessions with Mark still hosting, and taking a much earned rest from developing Practice Circle content during this time. Guest teachers are also expected to join and lead. 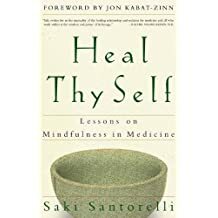 For the next Practice Circle we are honored to have one of the most experienced MBSR teachers, Saki Santorelli, leading the session. In the first half hour there will be a guided Awareness of Breath meditation, followed by small group discussions in virtual breakout rooms, and then inquiry into the experience led by Saki. Awareness of Breathing is another core practice of the Mindfulness-Based Stress Reduction program, providing an opportunity to experience our constant companion in life, the breath. Becoming more familiar with this ordinary process, perhaps befriending it, can foster the growing of one’s natural capacity for mindful awareness in each moment with openness and kindness.